There’s nothing quite like a tabloid story about a centenarian partying hard for their birthday to make you feel the creaks in every joint. It doesn’t matter whether they’re on a golf course in the Kangaroo Valley, carving up the slopes in the Rockies or hitting the gym for regular yoga and Pilates classes (and indulging in champagne), we love hearing about people who are living life to the fullest in every sense of the phrase. There’s a reason these kinds of stories fascinate us; humans have an innate desire to live as long as possible. It’s this unquenchable thirst for (quality) longevity that has led researchers to pursue ‘cures’ for natural ageing. One of the latest discoveries was made by Australian scientists at UNSW: Professor David Sinclair and Dr Lindsay Wu have discovered a vitamin that helps repair DNA damage – the natural process that causes us to age. Nicotinamide mononucleotide (NMN) helps our bodies to make oxidised nicotinamide adenine dinucleotide (NAD+), which in turn helps our cells patch up DNA damage that happens to us every day from things like pollution and sun damage. When this function is improved it can help prevent some degenerative diseases associated with ageing, such as Alzheimer’s and Parkinson’s. That’s not the only discovery that’s excited the medical community in the last few years. Back in 2014, a study led by Cardiff University found that, because it increases the number of oxygen molecules released in to each cell, the common (and cheap!) diabetes drug Metformin could have life-extending properties.i Then there’s telomeraseii, an enzyme which can add DNA to the ends of chromosomes to help slow (or even reverse) the telomere shortening that happens due to oxidative stress. Unfortunately for us, none of the anti-ageing discoveries of recent years are available as medicines yet – at least not as TGA-approved drugs for combatting ageing. That means we’ve got to make the most of what we’ve got while we wait for the science to come to fruition. 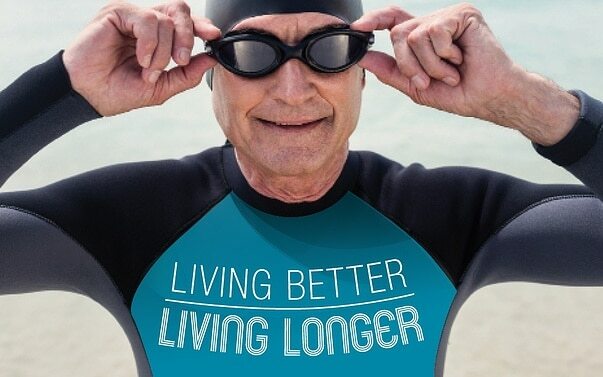 You’ve probably heard this one before, but exercise can help you live longer whilst maintaining or improving your quality of life. Specifically, cardio and weights can help counter some of the leading causes of fatal illness later in life, such as heart disease. One study found that 150 minutes of brisk walking per week added about 3.4-4.5 years to a person’s life.iii Of course, it’s important to ask your doctor for personalised advice before changing up your exercise routine. Keeping your mind active can also help your brain find new ways to do things as your regular neural pathways become less reliable with age. It has been described as ‘neuroplasticity in response to cognitive training’, and to get the benefits you don’t exactly have to be studying at the highest level. Any regular activity that involves learning or intellectually challenging yourself is a good start. If you’re not sure where you’d even start, have a look through the short course catalogue at your local adult learning centre. Open2Study is another flexible, budget friendly option. What would you do with an extra few years of life? Would you continue your travels around the world? Build an even bigger legacy for your family? Push the boundaries in your profession? Whatever you’re aiming for, we’re here to help you make sure your wealth lasts the distance – even if you make it to 100 and beyond. Contact us to discuss your later life income goals.